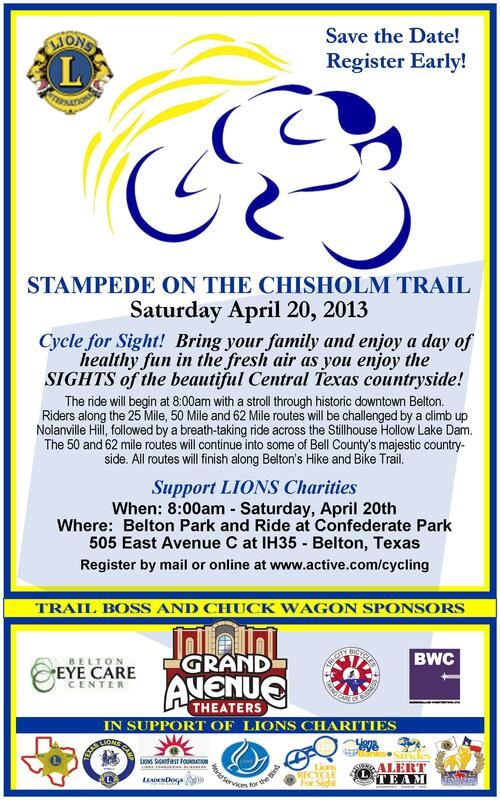 The Belton Lions Club proudly announces the date of the sixth annual Stampede on the Chisholm Trail benefit bike ride. 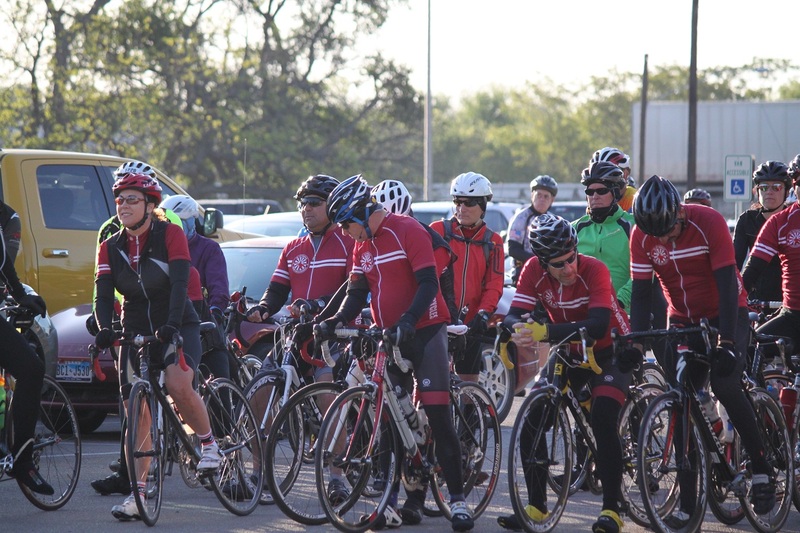 The ride will be held on Saturday, May 6, 2017. Mail-In registration is now open. Download 2017 Registration Here. 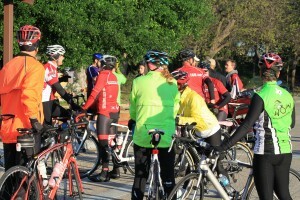 Ride day registration opens at 6:30 AM on Saturday, May 6th. 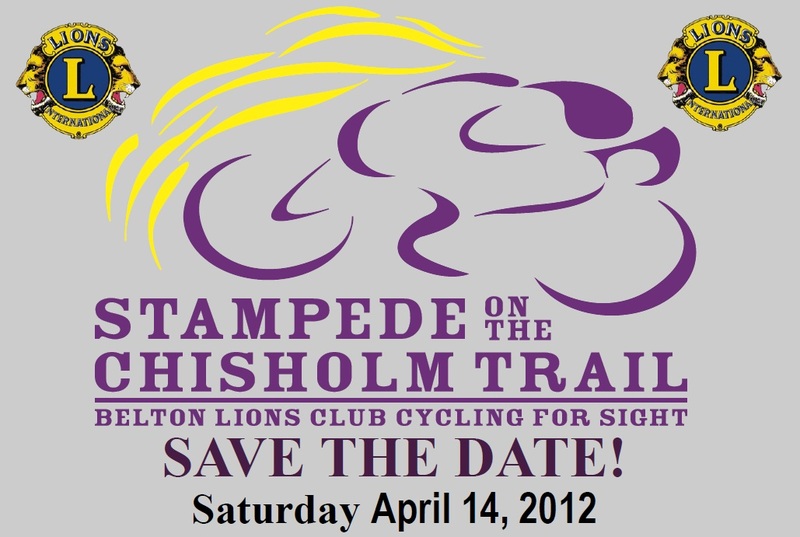 The Belton Lions Club proudly announces the date of the fourth annual Stampede on the Chisholm Trail benefit bike ride. 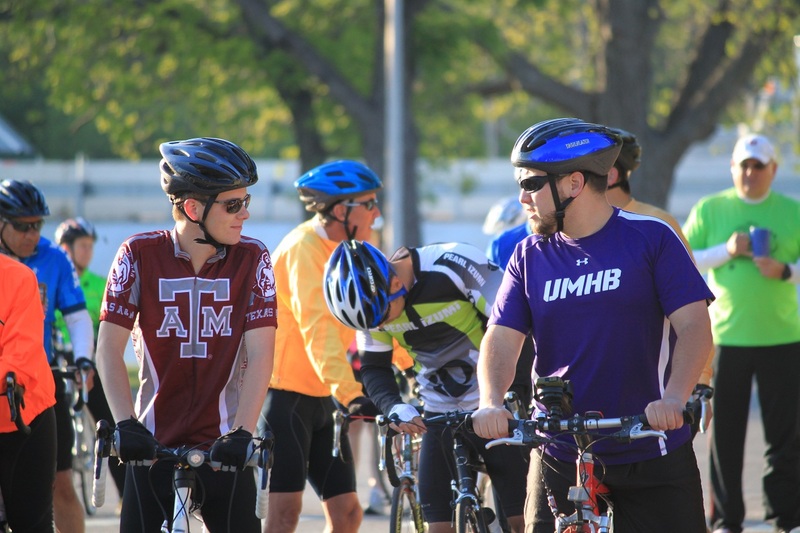 The ride will be held on Saturday, May 2, 2015. Mail-In registration is now open. Download 2015 Registration Here..
Ride day registration opens at 6:30 AM on Saturday, May 2nd. The Belton Lions Club proudly announces the date of the third annual Stampede on the Chisholm Trail benefit bike ride. 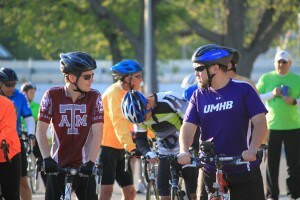 The ride will be held on Saturday, April 20, 2013. Mail-In registration will close on Friday, April 5th. 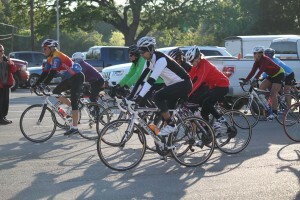 Online registration through active.com/cycling will close on Friday, April 12th. Ride day registration opens at 6:30 AM on Saturday, April 20th. 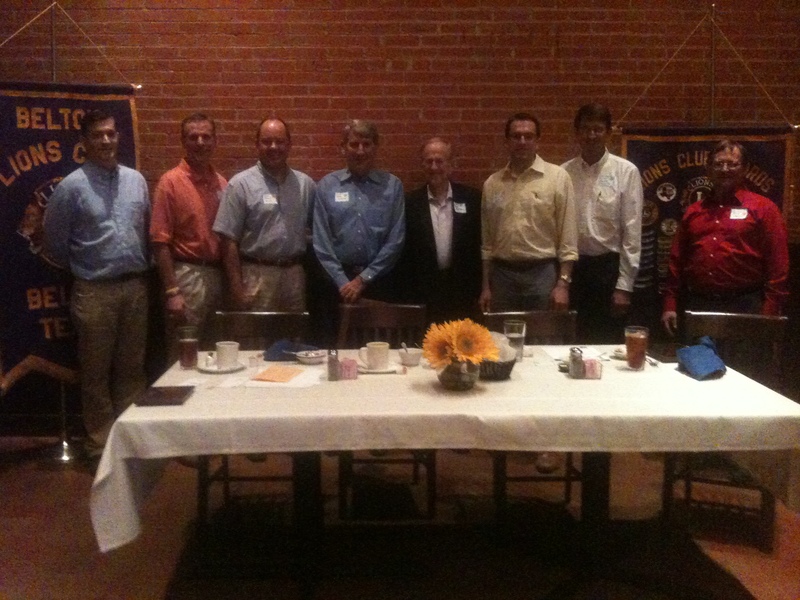 On June 21st, the club met to celebrate its accomplishments during the prior year, install officers for the coming Lion Year. 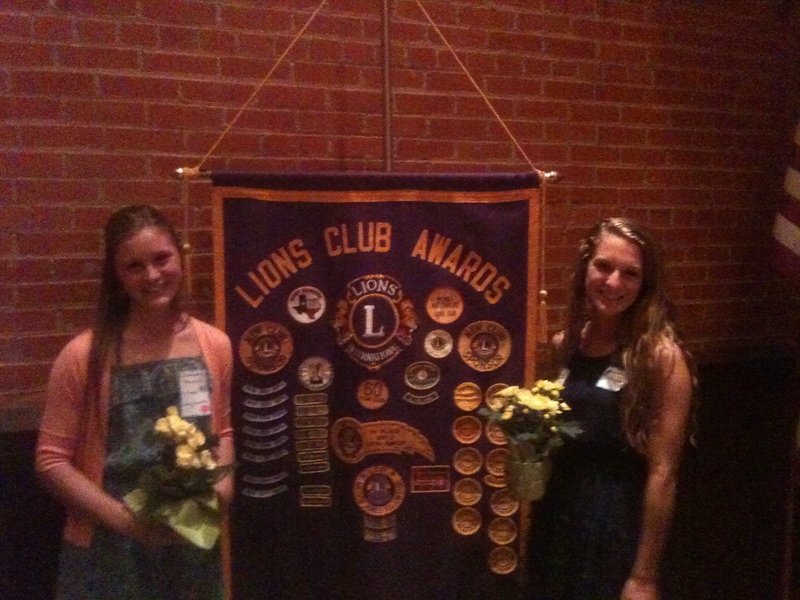 The club also recognized its 2012 college scholarship recipients, Hadley Young and Emily Waits. 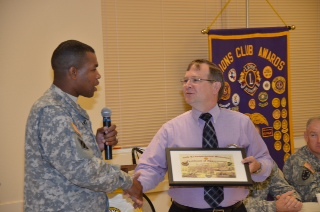 LTC Evans of the 49th Transportation Battalion presents Lion President Richard Weaver with a certificate of appreciation for hosting the 49th at the 2nd annual prayer breakfast, which was held on March 29th. 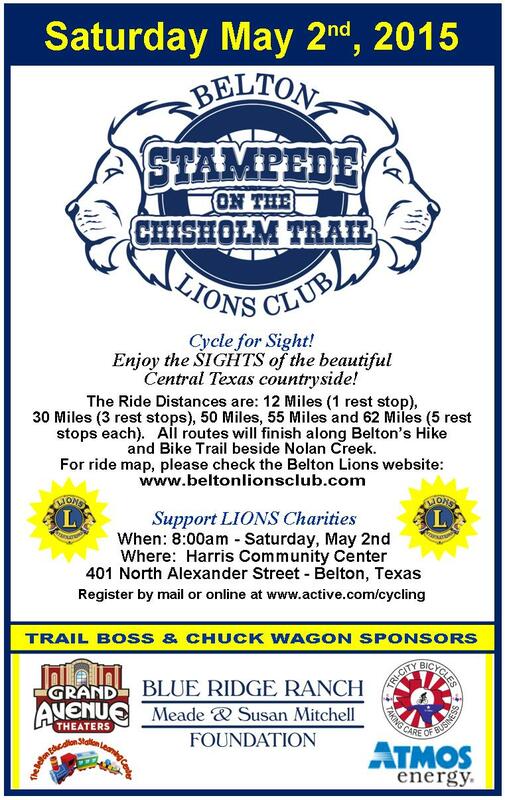 The Belton Lions Club proudly announces the date of the second annual Stampede on the Chisholm Trail benefit bike ride. 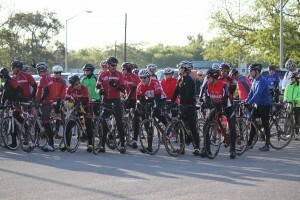 The ride will be held on Saturday, April 14, 2012. Registration will close on Friday, April 6th at midnight. In order to strengthen our relationship with the soldiers and families of Fort Hood, we are planning on entering into an adopt-a-unit partnership with Ft. Hood in conjunction with the Military Affairs Committee from the Belton Area Chamber of Commerce. The City of Belton and the Belton Area Chamber of Commerce have been working on the Belton Patriot Way project for the last year. The city has been in the process of reconstructing Central Avenue. In conjunction with that project, the Chamber of Commerce has been selling sidewalk bricks to honor those who have served in our nation’s military. Both groups are working toward a final project to construct a memorial plaza at the intersection of Central Avenue and IH35. Our club has been asked to consider supporting this great project. The Board of Directors voted to move forward with raising $2,000 to support this project, which still needs TxDOT approval. The City of Belton is planning repairs to the Lions Pavilion located in Heritage Park, as much of the exterior wood needs to be replaced. The city plans to replace the wood with longer-lasting metal. In addition, the Lion’s sign on the building needs to be repainted. Our club has an opportunity to participate in the repairs of the pavilion. The city estimates the labor would cost $1,700 to repair. We have been asked to considering supporting this worthy project.